New Moon marks the beginning of a new cycle. It is the time to launch new beginnings in life. The Workshop creates a space with our feelings, and music to create energy at the time of new beginnings, embracing new projects, ideas and thoughts, new relationship, and of all the changes we wish to invite in our lives. Experience movement meditation to actively relax and allow for your desires to flow from your higher self. Flow from your heart without judgment. After a new moon, you will notice a newfound sense of peace within your heart. Each person writes their personal intentions, and we Dance it out. We visualize, and we dance till we feel embodied. We write all your wishes, dreams, and intentions, and we will dance with it! Clean Slate -> Potential -> Dreams ->embrace new opportunities with confidence. Ashuma has a rich experience of 18 years working on developing and facilitating leadership, and employee engagement program with companies like Genpact, Agilent Technologies and Taj Group of Hotels. She launched her Movement Facilitation practice in 2012. Ashuma’s joy shops are known for their energy, and learning with fun! Practicing movement facilitation for the last 3 years, Ashuma is a certified instructor in “Creative Movement Therapy” from “the Creative Movement Therapy Association of India” and, has worked with more than 300 people over 35 workshops. She believes in personal development and transformation first, has build credentials going through prestigious certifications, and tough development journeys. 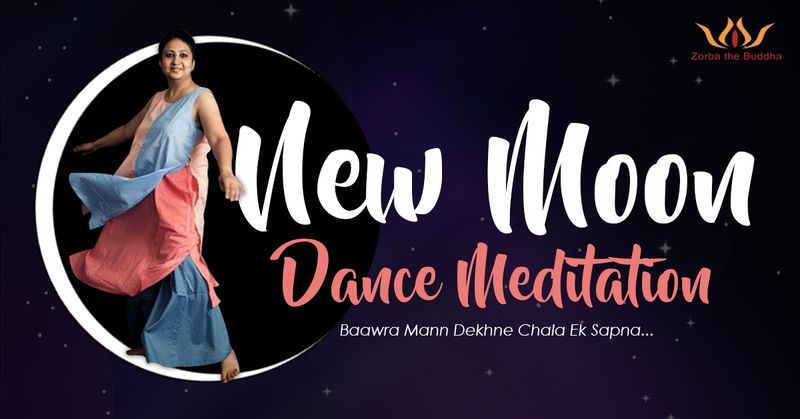 New Moon Dance Meditation (Dec 2018): Would you like to know more?